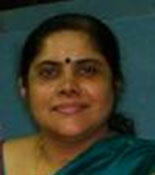 Dr. Mausumi Maitra, Associate.Prof & Head of the Department, obtained her B.Sc. (H) from Presidency College and B.Tech,M.Tech & PhD. from Institute of Radio Physics & Electronics, Calcutta University. She has been teaching Microprocessor & Micro controller, Communications and Computer Architecture& Organisation. Her current research interest is in VLSI Design & Image Processing. She has successfully completed an AICTE MODROB project for development of VLSI Lab. Presently she also having in her credit two MODROB project of AICTE & one Major Research project of UGC She has worked in CEERI, Pilani as Scientist for more than two years She has also served Kalyani Govt Engg College as Asst of Professor of Electronics & Communication for four year.